damián ortega, installation view of cosmic thing, 2002 in art and space, guggenheim museum bilbao, bilbao, 2017. The point of departure of Art and Space is the collaboration between Basque sculptor Eduardo Chillida and German philosopher Martin Heidegger in 1969, which resulted in the publication of an artist book whose title inspired that of this exhibition. By updating and fleshing out concepts and questions embedded in that extraordinary dialogue, this show presents more than 100 works by international artists and offers itself as a reinterpretation of the history of abstraction in the past six decades. Damián Ortega takes part in Art and Space with Cosmic Thing (2002). 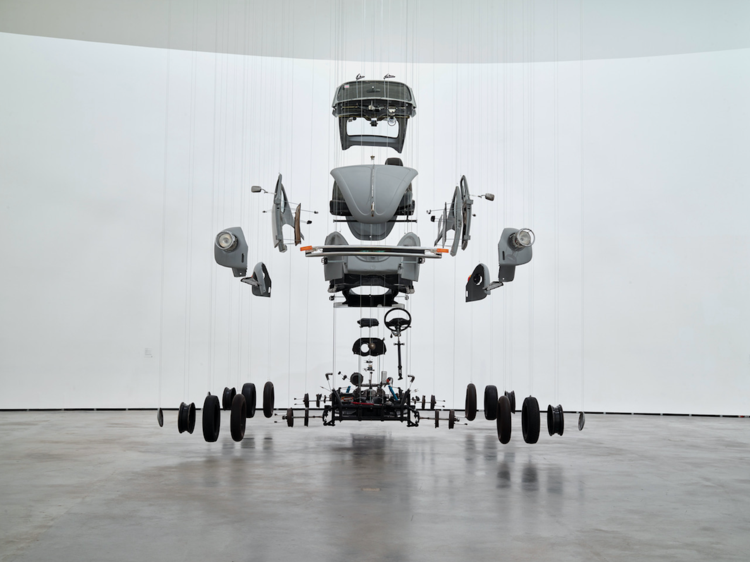 In Cosmic Thing (2002), Ortega disassembled a 1989 Volkswagen Beetle and suspended each piece from the ceiling by wire. The result evokes one perfect moment of the car’s explosion, transforming the automobile into an expansive universe composed of its many parts. 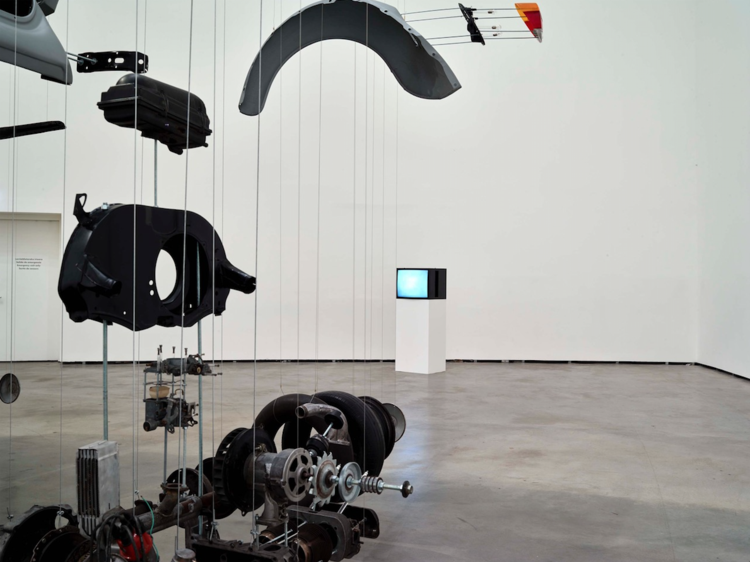 While the disintegration of the Volkswagen in Cosmic Thing undeniably speaks to the artist’s penchant for creative destruction, it is also an act of dissection, inviting the viewer to look beneath the hood for this machine’s secret history. By presenting the vehicle in pieces, the work alludes to the processes by which the model came into being and endures today. Originating in Nazi Germany as “the people’s car” and manufactured only recently in Mexico and Brazil, the pervasive and popular Beetle is revealed as an emblem of political ideology and the inescapable reach of global capital.